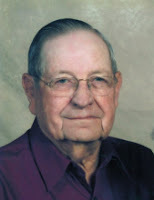 Elmo was born 2 September 1915 to Robert Lee and Mollie Guthrie on a farm 1 mile east and 1 ¾ miles north of Burns Flat. He was the seventh child in a family of 9 children. His dad was a farmer. Elmo attended school at North Burns, south of Burns Flat, then for 7 years he attended Burns Flat High School where he graduated in 1934. He loved sports and played basketball throughout high school. He attended the Cumberland Presbyterian Church when it was only a basement. Bernice was born 12 December 1916 to Lewis and Iva Opal Dippel on farm near Foss Lake. She was the first child in a family of 5 children. Her father was a farmer and a service station operator. Bernice attended school at Stafford and then High School at Foss, graduating in 1933. She played main string guard on the Foss basketball team. She attended the Foss Baptist Church. In the spring of 1933, a group of Foss and Burns Flat kids had a weenie roast. That’s where Elmo and Bernice became acquainted. Elmo didn’t have the nerve to ask her for a date. She might turn him down. He had a mutual friend call and get him a date for Saturday night. You’ve heard of Love at First Sight, this was love after the first date as they never dated anyone else. According to Elmo, that was his downfall. Elmo started college in the fall of 1934 at Southwestern Oklahoma State University. Bernice was a telephone operator at Foss. They were married on 28 December 1935 at Bernice’s home in Stafford. The service was conducted by Bernice’s uncle, a Baptist minister. The first 6 months of marriage, Bernice stayed in Foss with her family. Her mother had died, and her dad needed help with 4 younger children. Elmo was in school at Weatherford and continued his education. Jobs were hard to come by at that time. He would hitch a ride to Foss every weekend as he didn’t have a car. One of his family would take him back. Later that year, both Elmo and Bernice moved to Weatherford. During the summer, Elmo worked any job he could find. Elmo started teaching before he graduated as was the custom in those days. He graduated in 1940 with a BA in History, Math, and Economics. His first school was near Bessie which later became a residence for a teacher. Elmo taught in 5 schools, with Foss and Burns Flat being the last two. Elmo was a high school principal and superintendent at Foss. He served 5 years as a teacher, coach, and principal in the Burns Flat Schools, and served 20 years on the Burns Flat Board of Education. He left teaching in 1953 to devote his time to farming and the dairy business. Elmo and Bernice ran a dairy for 23 years. Bernice was a housewife and a helpmate with the farming and dairy, besides being a full-time mother to 4 sons and 3 daughters. Elmo served the Lord in the church for 67 years. He was ordained as an elder in the Cumberland Presbyterian Church in 1954 and served as session clerk for 26 years. Bernice joined the church in 1944. Both were Sunday school teachers. Bernice played the piano for many years. They lived out their years on the family farm. Their 7 children all married and gave them 13 grandchildren and 8 great-grandchild. The New Year began with an elder retreat, snow, ice, and an occasional power outage. 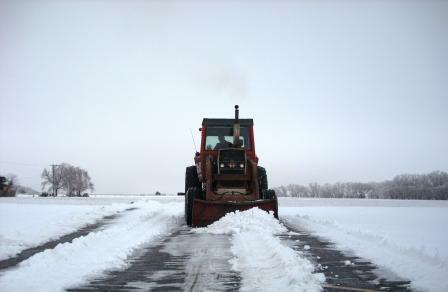 No services were canceled thanks to the help of many, especially Gene Reeves and his tractor. The retreat was a time for prayer for all on our prayer list, planning for the year to come, and a budget that required some cuts to be made. In the midst of sorting out the budget, a few sacred cows emerged; however, the session was unanimous that we should continue to pay our apportionment to Presbytery and to OUO as a tithe given faithfully. Every session member could testify to the blessings received from this single act of faithfulness to God. The session also decided to change the church fiscal year. The new fiscal year now runs from 1 October through 30 September. The change was effected on 1 October 2010. The highlight of the first part of the year was that our church joined many churches in western Oklahoma in the One Month to Live challenge. This was not a program, but a journey of discovery based upon the premise, what would you do if you had only one month to live? Church members acquired over 50 books, posted signs in their yards, received sermons, Sunday school lessons, and Wednesday night study on this provocative question for just over thirty days. The One Month to Live challenge was the revival for 2010. February 4th marked the 200th birthday of our denomination. The event was celebrated locally with a special cake at a fellowship meal. Later in the year, the General Assembly would meet near the birthplace shrine in Dixon Tennessee. Rodney Chilton and Karis Chilton would represent the Red River Presbytery as delegate and youth delegate and participate in this historic gathering. Tom preached the sermon at the Spring (Adjourned) Meeting of Presbytery. He was licensed during the meeting. Presbytery was held at the Lake Highlands Presbyterian Chruch in Dallas, Texas. The Cumberland Presbyterian Church hosted Holy Week services. Laci Stegall, Kendra Walker, and Jessica Hardin led the music. Tom preached the community Easter service at the First Baptist Church in Burns Flat. 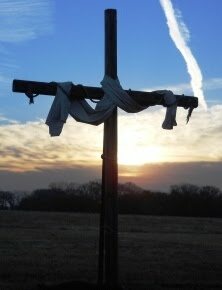 The church held a sunrise service, hosted a breakfast put together by the men, and a traditional service on Easter Sunday. The first day of May also brought about the second annual Walk a Block for Jesus. This year, participants invited residents of Burns Flat and Dill City to come hear the Good News of salvation in Jesus Christ at one of our Sunday Morning Services. Perhaps the highlight of the year came on the 19th of May with the visit of the Renaissance Choir of Bethel University in McKenzie, Tennessee. 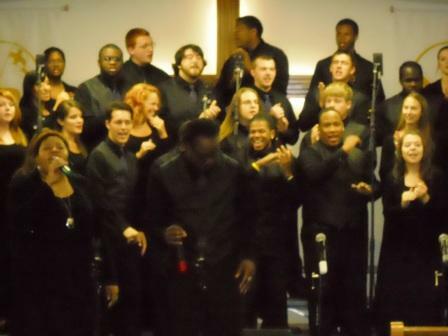 Under the direction of Peter Jeffrey, these young men and women filled the sanctuary with music and songs of praise. The church fed the group and provided overnight accommodations before they headed to their next engagement in Arkansas. 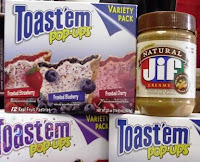 The summer provided a call for Pop Tarts and Peanut Butter to augment the food pantry. These foods were selected for the second consecutive summer as easy to prepare in case younger children were left to fend for themselves in the summer months. June also brought the Town-Wide Garage sale. Once again, the Elementary Youth used this community event as an opportunity to earn money towards camp fees. Rodney Chilton and Karis Chilton represented the Red River Presbytery as elder and youth delegates to General Assembly. The summer also brought VBS—Hero Headquarters--and once again the later dates (July) and the evening times resulted in a greater turnout. Once again, those children attending exceeded an average of fifty each evening. August brought about the second elder retreat of the year. It began with prayer, continued with planning for 2011, and concluded with the budget of the new fiscal year (1 Oct 2010 to 30 Sep 2011). August also brought new life to a ministry which was only a seed in previous years. Jessica Hardin and Gina Cline coordinated donations, assembly, and issue of over 30 backpacks for needy children as school resumed. While some children had been helped with school supplies in previous years, this was the first time it was pursued as a church ministry. September resumed regular Wednesday night meetings (F4). Both the men and women studied The Five Practices of Fruitful Congregations. The study began in plenary session with a video and then adjourned to separate discussion groups. In October, the session agreed to let Tom answer a request to preach at Lake Highlands Presbyterian Church in Dallas, Texas. The sermon was: Are we rich towards God? It included a testimony of this church. The F4 program was changed somewhat to add one worship service each month in lieu of classes. The reasoning was that many children and young adults were coming on Wednesday evenings that had not experienced a worship service because they did not come on Sunday mornings. Another phenomenon took place on Wednesday night. Children of all ages were coming to eat and be a part of the evening worship or classes. Numbers of children and youth greatly outnumbered adults. The mission field had come inside the doors of the church. Weekly prayer was offered and requested that adults would step forward to help shepherd these young people. 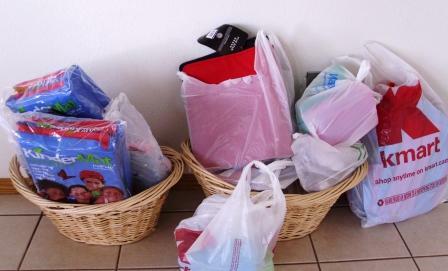 October saw preparations get underway for the food basket ministries in November and December. Weekly food offerings were begun by the congregation in November. The last day of October also was a time of celebration as Tom Spence was ordained by Red River Presbytery during the traditional worship service. Norlan Scrudder, Moderator of Red River Presbytery, delivered the sermon. 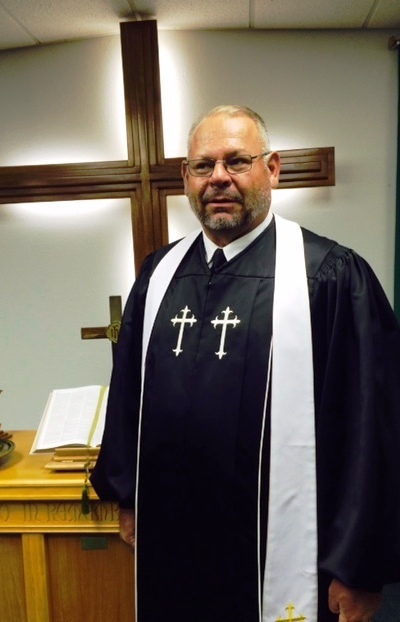 Dale Nease, pastor of the Cumberland Presbyterian Church in Clinton, Oklahoma, ordained Tom. 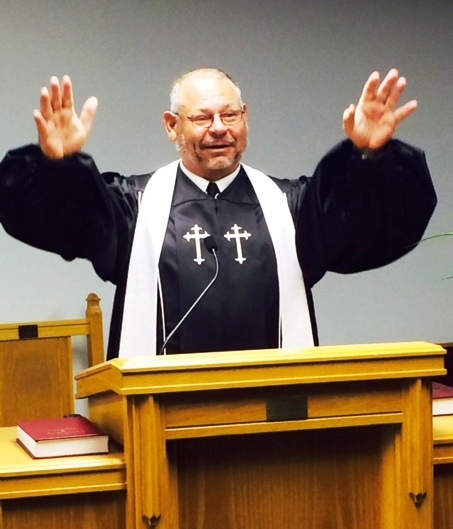 Wendell Harris, pastor of the Cumberland Presbyterian Church in Mangum, Oklahoma, installed Tom as pastor of the Burns Flat church. The service was followed by a fellowship meal. This year the church took on a new ministry—Coats for Our Community. 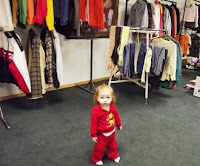 The coat drive gave out over 150 coats to people in need in western Oklahoma. 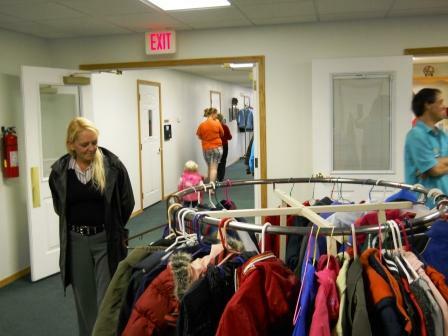 Over 100 coats were left over at the end and donated to area thrift shops. November produced yet another wonderful Thanksgiving Dinner and Talent Parade. December was the fourth year in a row where Tom cooked for the congregation on the first three Wednesdays of the month. After each meal, all engaged in a common activity (counting love loaves, filling Christmas sacks, writing to our deployed servicemen). Many from the congregation participated in the Community Thanksgiving Service held at Grace Baptist Church in Dill City, Oklahoma. The service was held in the new sanctuary. Jessica Hardin offered a special as part of the service. As part of the Ministerial Alliance, the church helped feed over 350 people at Thanksgiving and Christmas. Over 190 Angel Gifts were given out to needy children this year. 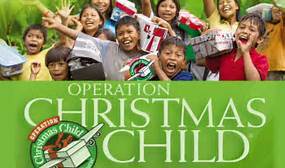 Again, the congregation participated in Operation Christmas Child. The church also permitted Operation Noel to use the fellowship hall to give out Christmas gifts to the needy in the community. During the course of the year, the session had prayed and voted, the congregation discussed and concurred, and God made a way for the church to purchase 3.1 acres adjoining to the east of the current property. In the toughest economic times in decades, God made a way for this church to have a place to expand in the future. The Christmas Eve communion service was not snowed out this year and many attended the two hour come and go service where the Lord’s Supper was served family by family as groups arrived. 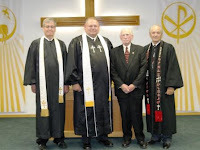 The session also thanked Rick Reeves and Rodney Chilton for their service as elders on the session for the past three years and the congregation voted Gene Reeves and Phil Delp as the elders to begin serving in 2011. The year ended with many new faces in the congregation, people answering new callings in the church, a sound budget, an average Sunday attendance of 100, and an ordained minister in the pulpit. The year ended with the Body of Christ faithful to its local motto of being God’s Love in Action. The New Year began with the installation of Gene Reeves and Phil Delp as elders to serve a 3-year term on the session. It also began with the following prayer. And a heart that loves you. By worry, regret, and our past. In the days of this New Year. Early January found the church nearly emptied of food baskets and coats but fresh with the smell of love and generosity that had culminated with the distribution of food baskets and angel gifts only a few days earlier. The first F-4 Wednesday night was 12 January and it was a meal and a worship service. This was a trend that would continue through the year—the first Wednesday of each month would be a worship service after the meal instead of adjourning to classes. Many of the youth that the church had reached on Wednesday nights did not attend on Sunday mornings. The monthly service introduced and reacquainted many of these young people with what it is to worship God. The call for help with Wednesday meals and classes was answered by some. More were hoped for, but those who came managed to lead, guide, and direct the youth who were now attending. To any who sought to follow our Master, eyes were opened to a mission field that had come to the Body of Christ. The church provided a service of celebration and a meal for the family of Florence Mabry on 10 January 2011. Florence was born on 6 January 1915 and died on 5 January 2011. The service was attended by many. Only a few days later, Reverend Thomas Spence provided services for Borden Lee Elmore at the Musick-Varner Funeral Home in Cordell, Oklahoma. Borden was 70 years old. 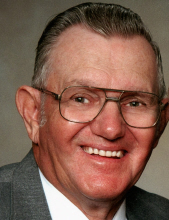 Services were provided for Ron McCullough at the Martin Funeral Home in Elk City on 25 January 2012. Reverend Lloyd Hall and Reverend Thomas Spence officiated the service. The Burns Flat Cumberland Presbyterian Church provided a meal for family and close friends. Many from the Burns Flat congregation attended the Crown Ministries Money Map Seminar on 29 January 2011 at the First Baptist Church in Burns Flat. January had 5 Sundays, and the congregation enjoyed a fellowship meal on the 5th of those Sundays. 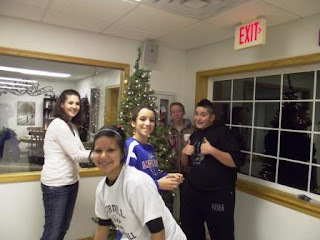 The Elementary Youth Group held a silent auction at the meal to raise money for camp. Wednesday Evening studies saw the Men’s Group tackling the Gospel of John while the Women’s Group studied a course called Becoming Complete: Embracing Your Biblical Image. 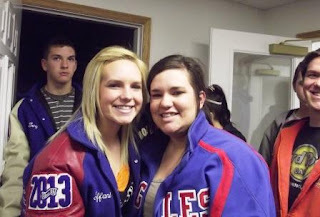 The BABES exercise and fitness group resumed classes in February 2011 and the Junior/Senior Youth Group sponsored a Sweetheart Banquet on 12 February. An evening Ash Wednesday Service was held on 9 March. Instead of a traditional service, 9 tactile meditation stations were set up, with the last being the imposition of the ashes. The congregation memorized the 23rd Psalm during the season of Lent. Tom Spence attended the 1st Things First Stewardship Seminar at Stonegate CPC in Edmond, Oklahoma on 19 March 2011. On 23 March, a service and meal were held to celebrate the life of Mary Lara. The church had sponsored Boy Scout Troop 310 for a decade. This year, a Cub Scout Troop was begun under the direction of Kendra Walker. The church now sponsors both Boy Scouts and Cub Scouts. On 10 April, a Message in Drama was presented under the direction of Desarae Simmons. The Ladies hosted a baby shower for Desarae Simmons on 16 April and the congregation participated for the first time in the One Great Hour of Sharing with a special Wednesday evening offering near the end of April. Tom Spence and Rick Ellis served as pastor and elder delegates to the spring meeting of the Red River Presbytery. 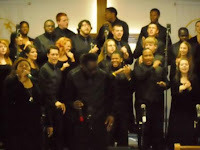 The service and meeting were held at St. Luke Cumberland Presbyterian Church in Fort Worth, Texas on 16 April 2011. Community Holy Week Services were held at Living Waters Assembly of God Church this year. Our church hosted a Thursday evening Come and Go Communion. The Community Easter Service was held at our church on Friday, 22 April. 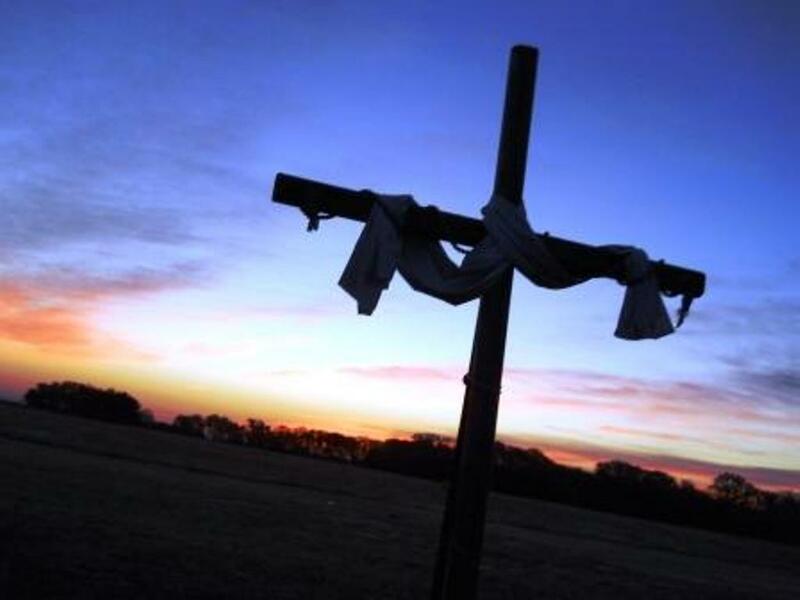 Easter Sunday Services included a Sunrise Service at 6:45 am followed by breakfast prepared by the men of the congregation, and a traditional Easter Worship Service at 10:50 am. A brief after action meeting was held to look at F4. Those present looked at what worked well, what needed improvement, and areas of opportunity. This meeting was intentionally brief and designed to capture thoughts while they were fresh. A follow-up meeting was conducted in August to construct the Fall F4 program after a time of rest and creativity over the summer. Baccalaureate Services were once again held at the Burns Flat-Dill City High School and sponsored by the Ministerial Alliance. All area churches were appreciative of this opportunity to deliver the gospel to the graduating class within the school building. Due to the early graduation date, the Baccalaureate was held on 1 May. Baptism classes were held during the Sunday School Hour on 22 and 29 May 2011. The church provided a meal and a service for Dorothy Rouillard on 23 May. 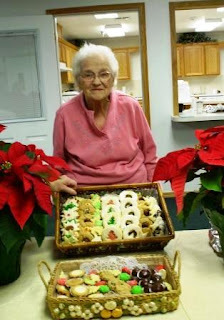 Dorothy was born in 1922 and passed away in May 2011. Graveside services were held in Edmond, Oklahoma. Libby Nicole Spence was baptized on 29 May 2011 at the traditional service. Also on 29 May the church held a fellowship meal and took time to remember not only our veterans who died in service to their country, but also some of the faithful in our local church who had since passed on. Chewy Tuesdays emerged as a new ministry to feed a good meal to hungry kids during the summer months. It was meant to complement the Pop Tarts and Peanut Butter program, another summer ministry that had been successful for the past few years. While the Chewy Tuesdays’ crowd was unpredictable and often included more adults than children; it did feed a very healthy meal to those who came. It also prompted cooperation among many area churches in Elk City, Cordell, and Colony. The Elementary Youth once again set up a huge yard sale as part of the town-wide yard sale on 11 June. This was a fundraiser to help raise money for campers to attend Camp WOW in the summer. Tom Spence served as a minister delegate to the 182nd General Assembly held in Florence, Alabama. The co-leaders of last year’s Backpack Ministry had both moved out of town. Bryan Waters, Chloe Dalton, Nicole Armstrong, Kendra Walker, and Karla McCown pulled together as a team, raised funds, purchased supplies, and distributed over 75 backpacks to elementary students. This event was also a turning point in ministry style. Volunteers were recruited so that this ministry would be more personal. One or two volunteers met with each family and many children who were helping led other children to pick out their backpacks. The child volunteers then prayed for the children they were helping while the adult volunteers asked about other ministry needs and prayed with the adults. This became the model for ministry for the remainder of 2011. School Supply offerings began on 10 July and continued to the start of the school year. 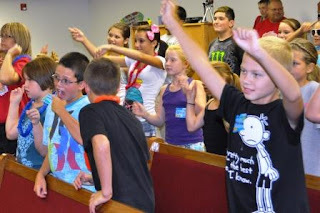 Vacation Bible School was held 11-15 July from 6:00-8:00 pm for grades Pre-K through 6th. This year’s VBS received a boost with the participation of the junior/senior youth as teacher’s assistants. The finale to the VBS was on Saturday, 16 July at the town pool. The VBS children also sang at the traditional service on 17 July 2011. This year’s VBS theme was Son Surf Beach Bash. This year’s VBS attendance averaged 52 children and 28 helpers for the five days of classes. The pool party exceeded 125. The offering taken at VBS amounted to $272.95 and was given to the Backpack Ministry. Campers and counselors gave testimonies at the 31 July traditional service following their Camp WOW experience. A total of 15 campers and 6 adults attended from our church. The church also hosted a Back to School Splash on the evening of 1 August and invited the entire community to swim that evening. The main distribution of backpacks and supplies was 8 August from 5:00 – 7:00 pm. Some were completed the following week. The annual elder retreat was held on 6 August 2011. The scripture for the devotion was Romans 10:8-17. All on our prayer list were prayed for and each elder was asked to move about the sanctuary and pray for others as they were led. Rockers for the cry room were approved and three were donated shortly thereafter. The session also decided to procure some sort of church bell to be sounded at 10:00 for Sunday school, 10:45 for dismissal of Sunday school, and 10:55 for the Call to Worship. The bell acquired was an audio file played through the sound system. At the retreat, Tom asked that all pray about whether the leadership of the church would commit to reaching every school-aged child in our community with the good news of life in Jesus Christ. After a month of prayer, deliberation, and discernment, the session committed to reaching every school-aged child with the good news! This commitment was named Good News 2012. The church hosted a service and meal for the family of Mabel Davis on 31 August. The Cumberland Presbyterian Church hosted a community service for rain. This was initially a CPC service but all churches in the Ministerial Alliance agreed to participate. God’s people came and gave thanks, his word was spoken, and much time was spent in confession and focused prayer. It also rained that day and several thereafter. The Tuff Stuff Bible Study began on 12 September 2011. The study met on the 2nd and 3rdMondays of each month. The “tough” part of the study was that participants agreed to two things. First, they would tackle any topic in the Bible and second that they committed to reading 1 hour each week from the Bible on areas related to that topic. The theme of the Fall F4 was Testify to Love. A different verse about God’s love for us was given out each week to all who came. Tom also had a 10-minute mini message with all of the children before they went to their classes. Tom Spence and Rick Ellis served as pastor and elder delegates to the Fall Meeting of Red River Presbytery. This worship service and meeting were held at Eastlake Cumberland Presbyterian Church in Oklahoma City, Oklahoma on 15 October. The church provided a service and meal for the family of William Connizzo on 18 October 2011. William had been baptized and married in our church earlier that summer. 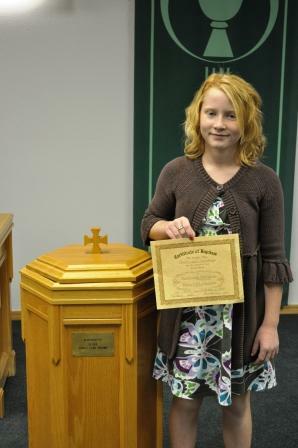 Grace Lynn Schneberger was baptized on 23 October 2011 at the traditional worship service. The junior/senior youth sold tickets to the Bruschetta Bash held on 28 October 2011. This was their first big fundraiser after camp. This year, 19 women from the congregation attended the Women of Faith Conference in Oklahoma City on 11 and 12 November 2011. The congregation participated once again in Operation Christmas Child and sent a dozen shoe boxes to needy children overseas. This year, the children of our church blessed the shoeboxes during the traditional service on 13 November. On Thursday evening, 1 December 2011, the church held its first come and go Blessing of the Children. Parents were required to bring and present their children if they wanted them to be blessed. Some parents from the church brought their children and some from our other ministry contacts came as well. This was a first-time event but it will be continued in 2012. The church held its second annual coat drive and collected about 150 coats. Few were given out on the designated day—5 December. 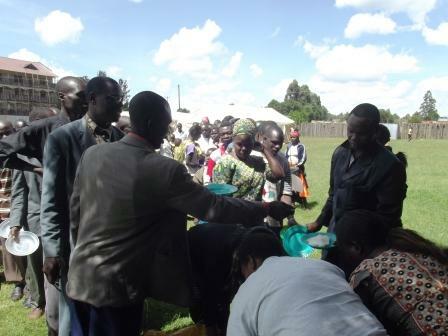 But many were given out in the course of distributing Thanksgiving and Christmas Baskets. Over 100 coats were given out by the end of 2011. The coats will remain on display in the fellowship hall through January 2012. The congregation also participated in the Loaves and Fishes ministry for another year. This year’s offering to defeat hunger was $343. One-fourth of that went to help with costs for the community meal held on 27 December 2011. This year’s ministry changed. There was more direct interaction to sign people up with food baskets. Three pastors and a few other volunteers met with people in need. We took our time, talked, listened, and invited people to a better way to live. Most of this ministry was done on 4 November. Another dozen families came in the next week. Over the course of the next month, another dozen families came in. All were given individual time, needs discussed, prayers offered, and an invitation to a better way to live was given. Ministry changed this year. Altogether, 59 families received food baskets, and most of those received a basket at Thanksgiving and another at Christmas. These families received over $100 worth of food including a turkey at Thanksgiving and a ham at Christmas. Many also received angel gifts as well. This congregation and the churches of this community understand extravagant generosity. The Men of Integrity met 11 times this year. They met on the 4th Saturday of every Month except December. During their October meeting, they committed to raise enough money for 100 pair of shoes for children in need overseas via the Life’s Christmas Shoe Project. The men raised enough for 208 pairs of shoes! 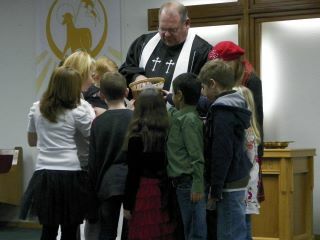 The church provided a service and meal for the family of Steve Hite on 2 December 2011. It was held late in the afternoon so that many teachers could come to support both Gayla and Shawna. The last F4 of the year was on 16 November. This was the Thanksgiving Dinner and Talent Parade. God’s people enjoyed a good meal and each other on this wonderful evening. While many sang, read, and just enjoyed each other; the Christmas Rappers planned a comeback for 2012. For the 5th consecutive year, Tom cooked on Wednesdays in late November and early December. These three meals were accompanied by activities such as counting the money in the loaves and fishes, decorating the church for Christmas, filling bags with fruit, nuts, and candy for the Christmas program, and sorting food into Christmas boxes. Pam Delp coordinated the counting and rolling of coins for the offering. Laci Stegall directed the decorating of the church. Patsy Reeves coordinated the filling of the bags. Tom Spence coordinated the filling of the food boxes. The session nominated and the congregation elected Dana Ellis and Rick Reeves to serve a three-year term on the session beginning in January 2012. They were elected at a congregational meeting on 27 November 2011 and will be installed at the traditional service on 8 January 2012. Both are already ordained elders. This year’s Christmas Program was the Backwards Christmas Program directed by Laci Stegall and put on by the children. The program was held on the evening of 11 December and a time of finger food and fellowship followed. This year the Christmas Eve come and go communion was from 4:00 to 7:00 pm—an extra hour over the past few years. Many attended and were blessed to partake of this sacrament on this special evening. Christmas Day fell on a Sunday this year. Despite the travel plans of many, there were over 90 people in attendance at the Christmas day service. Not everything went as hoped for this year. Many believed that God was leading the church to set up a thrift store. Many volunteered. Many offered to seed the store with many donations, but there was no property available. The hope was that one of the property owners in Burns Flat would allow the church to use one of their unused buildings. The church would pay the utilities and provide upkeep if the property owner offered the use of the building. The church has not given up hope that such a ministry is on the horizon, it just wasn't to be in 2011. The church also did not do the Walk A Block for Jesus this year. Too many competing factors squeezed this event off the calendar. Plans are already underway for two Walk a Blocks in 2012. Attendance averaged 100 for worship on Sunday Mornings. Rick Ellis filled the pulpit twice this year. A guest speaker from the Gideons filled it once. A speaker from Living Waters, Shirley Davidson, filled the pulpit once by offering a testimony about loving the handicapped. There were 2 messages in Drama. Tom filled the pulpit on 46 Sundays. Gerald Stegall replaced Junior Delp as Sunday School Superintendent. The church is financially sound. The word of God is preached from the pulpit and lived in the people of the congregation. 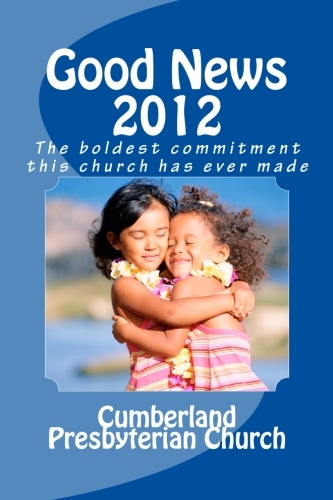 Boasting not in ourselves, but in Christ, this church has been God’s love in action in 2011. This church must confess that it resides in The Sooner State. That means that Good News 2012 jumped the gun a little and began the spreading of the gospel of life in Jesus before the end of the year. On Christmas Day, the children collected the names of children with whom members of this congregation had shared the good news and they blessed them. The Burns Flat Cumberland Presbyterian Church concluded the year knowing they had done much in the way of ministry and of being God’s love in this community, within our denomination, and reaching out to many parts of the world. Many of God’s people found themselves poured out like a drink offering—to use the apostle Paul’s words—but anticipating that God will renew and refresh them for the year to come. This year was marked by Good News 2012. This was the commitment of this congregation to reach every school-aged child in our community with the good news of life in Jesus Christ. The message was a simple as “God loves you” for the very young to a little meatier discussion about how great that love is and how we have come to know that love in the person of Jesus Christ. Good news would permeate just about every church event of the entire year. January saw the official start of Good News 2012, though many had jumped the gun and started spreading the good news the month before. The official kick-off was 11 January and Lori Schneberger was appointed as mission coordinator. The session also voted to purchase a water softener and reverse osmosis unit for the church facility. February included a special service for Ash Wednesday and the beginning of special children’s offering during Lent. The children brought offerings from their allowance or money that they had earned to raise $100 to purchase a goat and two chickens through World Vision. 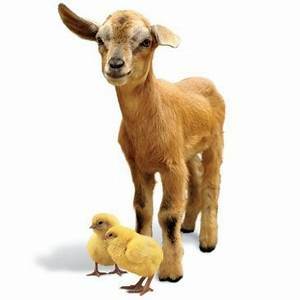 By the end of Lent, the children raised enough for 1 goat, 2 chickens, and 5 ducks. On 26 January, Tom began a homiletic journey through the Confession of Faith as the basis of Sunday messages. In March the Cumberland Presbyterian Church hosted a Youth Lock-In at the Weatherford YMCA. Messages were offered by Tom Spence (CPC), Dwight Shephard (Living Waters AG), and Ron Roskam (FBC Dill City). Pastor Robert Colston drove the bus provided by FBC Burns Flat. Laci Stegall was the overall coordinator. Louise Matthews holds a Walker baby while mom spreads the gospel. March also marked the beginning of assistance to the First Cumberland Presbyterian Church in Mangum. The Mangum church had struggled with pastors over the past few years, missions work was non-existent, and there was no one to serve communion. The session appointed Rick and Dana Ellis, both elders in the Burns Flat congregation, to fill the pulpit as often as possible for the coming months in Mangum. April began with the church hosting community Holy Week Services and by invading the pagan egg hunting ritual with prizes of Bibles, wristbands, and multiple greetings of “God loves you!” The church jumped into the community Easter egg hunt as part of Good News 2012. The community organizers welcomed the additional prizes and many more children were contacted with the gospel. The final F4 Wednesday night program included an evening of drama (The Prodigal, Dirty Shirt, and Trash). Before the end of the month—28 April– the church held its annual Walk a block for Jesus. Patsy Nagle was this year’s coordinator for the Cumberland Presbyterian Church. This year’s event was also a Ministerial Alliance event. On a single Saturday morning, 65 evangelists reached 750 households with the gospel of Jesus Christ in Burns Flat and Dill City. Rick Ellis filled the pulpit on 27 May so that Tom Spence might preach at the First Cumberland Presbyterian Church in Mangum, Oklahoma and be the speaker at an evening revival that same Sunday. 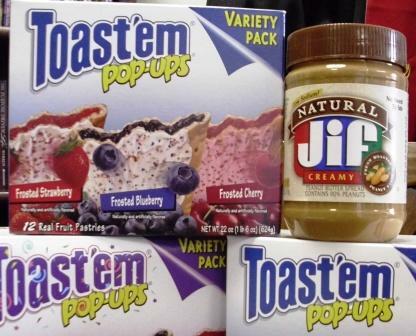 June began with two returning starters: Chewy Tuesdays and Pop Tarts and Peanut Butter. Chewy Tuesdays began the year before with the intent of providing a healthy meal to the children of the community every Tuesday. The food was fantastic. The turnout was underwhelming. This year, however, the Chewy Tuesday’s team reversed the model and took the food to the children of the community. A healthy meal was still the intent, especially including fruit in every meal. The deliveries began in the low 20’s but doubled over the summer. July was marked by the purchase of new appliances as the hard water had caused the original dishwashers and ice machine to fail sooner than expected. With the new water system in place, new appliances were installed. Over 20 youth and counselors attend Camp Wow this month. In addition to the usual camp experiences, campers held on to that camp “high” by conducting a Mission to Mangum the Saturday following their return. This was a Walk A Block for Jesus that hit the road and evangelized the town of Mangum. The event included a pool party sponsored by the First Cumberland Presbyterian Church in Mangum. The entire community was invited during the door-to-door campaign. Following closely on the heels of these two events, Vacation Bible School was held 30 July – 3 August with over 80 children in attendance. This year’s theme was SonRise National Park. August began with the elder retreat in which all elders were invited to pray and contribute to the annual planning process. Elders reviewed over 50 ministries that the local body had initiated or become a part of over the past years. Each was reviewed and a deliberate decision was made to continue, retire, or modify each of these missions. This month also saw the church sponsored the Backpack Ministry once again, this year helping 72 children. Parents that needed help with their children’s school supplies were invited to receive help. The help was a very full backpack that included almost every item on the mandatory supplies list. The best part was that youth and children would pair up with children of their own age, pray with them, and take them to pick out their backpack while others collected the supplies that would fill them. Stormie Poe was baptized during the traditional service on 5 August. The F4 Wednesday evening program kicked off for the fall with a worship service on 5 September. The Tuff Stuff bible study kicked off with Taxonomy of Sin on 17 September. In future sessions, participants picked their own topics with no topic off limits. The intent was to be Berean and see what the scriptures had to say about anything of concern or interest. October included a two-week coat drive followed by a winter long issue whenever a need arose. Operation Christmas Child—the shoebox ministry—kicked off on 21 October. October also included the church’s first Trunk or Treat. This was an event that drew upwards of 300 children, all of whom heard about God’s love in addition to receiving plenty of candy and God Loves You wristbands. The Operation Christmas Child boxes were presented by the children and blessed on 11 November before being transported to a collection point later that week. On 14 November, the church held the F4 Finale and Talent Parade. Following a fantastic Thanksgiving meal, the congregation enjoyed presentations by each class and several individuals. Among the notable presentations was the surprise return of the Christmas [W]Rappers. Joy and laughter prevailed long after the evening’s activities concluded. The Loaves and Fishes offering was collected on the last Sunday of the month. The congregation and community were extremely generous helping many families with Thanksgiving and Christmas food baskets as well as hundreds of angel gifts. During the first three Wednesdays of December, Tom continued his practice of cooking a “One Pot Meal” for the congregation. This was followed by mission-oriented activities such as sorting food or making Christmas sacks full of candy and nuts for the time of fellowship that followed the Christmas program. The Men of Integrity met 11 times this year and supported various local and overseas ministries. On 9 December, a congregational meeting was held and James Hendrix was elected to serve as elder for a three-year term. On 14 December 2012, the last child was contacted by Candace Bond. Good News 2012 = MISSION ACCOMPLISHED. Tom filled the pulpit for 48 Sundays. The average attendance for 2012 was 95. James Hendrix was installed as an elder to serve on the session for the next three years. James was previously ordained as an elder sometime in the previous millennia. Mid-January brought the beginning of the Monday night Tuff Stuff study Fearless. F4 resumed on 16 January with worship and continued through the spring alternating worship and classes. This year began with an extra purpose for this small body. Tom Spence had accepted an invitation to be the speaker at the Empowering Leaders Conference in Eldoret, Kenya in May of 2013. Rick Ellis was led by the Spirit to accompany him. Planning, preparation, and fundraising began in earnest with the new year. 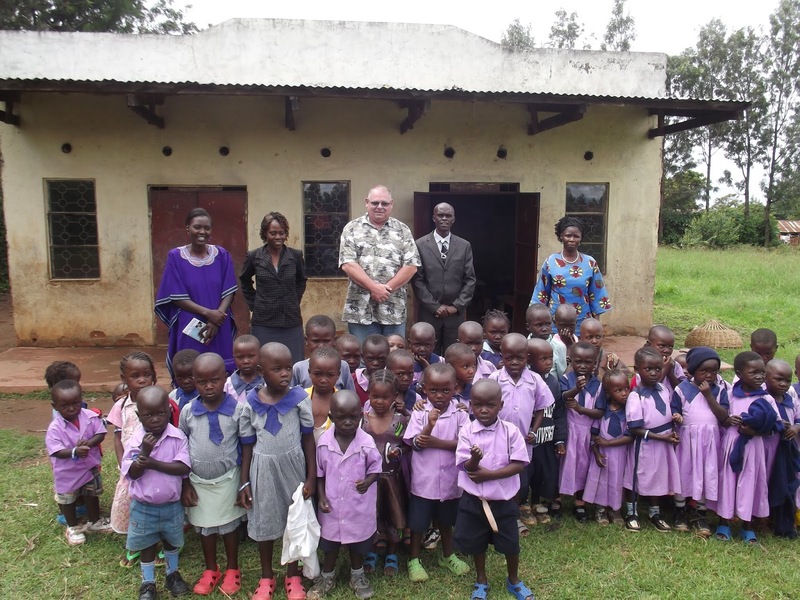 During the course of the next few months, the First Cumberland Presbyterian Church in Mangum, other church bodies, and individuals added to the fundraising efforts to send Rick and Tom and over 350 Bibles to Africa. An evening Ash Wednesday service was held on 13 February. 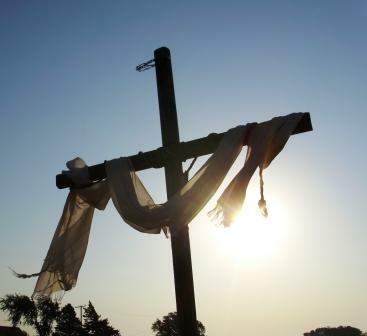 The church hosted the community holy week services and the community Easter Service during the week of 25-29 March. The children again had a special offering during Lent and raised enough to purchase a goat and 2 chickens via World Vision. Easter continued a 15-year tradition of the men making breakfast on Easter morning. For the past 10 years, the church has held a sunrise service and the traditional service on this special morning. The Walk A Block for Jesus was held on 13 April. 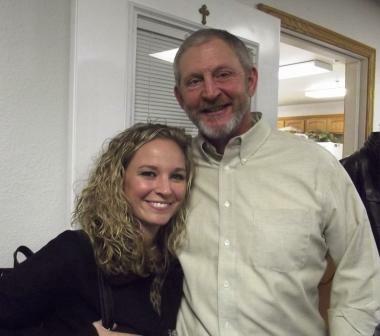 Almost 2 weeks later, Tom Spence and Laci Stegall put on a Bruschetta Bash as a fundraiser for the Mission to Kenya. It raised over $1,000. Tom Spence and Rick Ellis went to western Kenya, (Eldoret-Kitale region) and trained and equipped over 300 pastors and church leaders. They also visited orphanage schools and a homeless/refugee camp where people lived that had been displaced from violence over the previous years. Mission briefs were provided to the Burns Flat and Mangum Congregations upon their return. 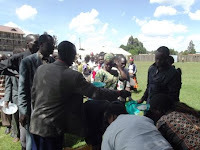 The team also brought or purchased in-country almost 400 Bibles, 100 of these were in Swahili. 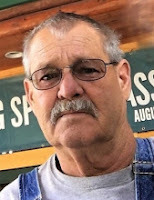 The host pastor for the conference was shocked that Tom and Rick told him that we were underutilized and when they returned they would conduct more workshops and some evening activities to maximize the time on the ground. Communication with many of the pastors continued upon return and much support has been sent to the orphanage schools. For the past several years, the church prepared a meal for the community during the Christmas break. It was never heavily attended. This year, the community meal was moved to the end of May and signups for Chewy Tuesdays and the issue of Pop Tarts and Peanut butter were rolled into this event. Chewy Tuesdays continued the home delivery model reaching over 50 children each week through the summer. Don Foust and Tom Collins team up as ministry leaders to take more and more of God’s love into the community this year. Once again, fruit became a staple of each meal. Testimonies from those who delivered these meals included children running to the people bring the meals, excitement over receiving an entire banana or apple instead of just a piece, and countless hugs. This ministry was affirmed as being on target in taking God’s love into the community. 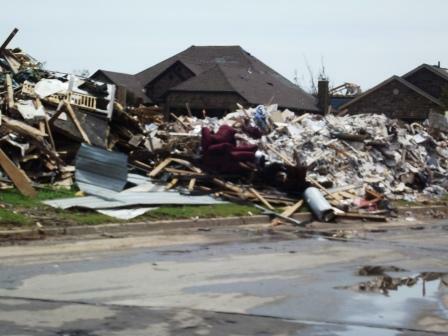 On 20 May 2013, an EF5 tornado ripped through the community of Moore, Oklahoma. The tornado bypassed the Eastlake Cumberland Presbyterian in Moore. This small church that seemed to struggle with a few ministries was suddenly thrust into the middle of many ministries. Many from the Burns Flat congregation were led to help. On 3 June 19 missionaries from the Burns Flat congregation traveled to Moore, Oklahoma to help in any way that they could. They also brought a pickup load of donations and supplies. When the group left the Burns Flat church parking lot that morning they did not know what tasks were ahead of them. On the other end, Pastor Leslie Johnson also did not know what the day’s needs were. The group arrived at the Eastlake Church 15 minutes prior to a 53-foot semi-trailer load of supplies. The group made quick work of the offload and then divided into two groups. One would venture into the residential area of Moore and help patch a roof so that it would not leak until it could be replaced. The other group helped organize supplies at the church for issue to the people of the community. During a lunch break, the group drove through the areas that had been totally devastated. These missionaries returned to Burns Flat that evening and stopped by to help a local family that had just lost their home to fire. Some of the clothing and supplies given to the family came from the Eastlake Church. SonWest Round Up was the Vacation Bible School theme for 2013. Attendance peaked at 91 children and 41 helpers during the week of 8-12 July. The VBS concluded with a pool party on the 13th. July also saw 19 campers plus counselors attend Camp WOW. All were blessed. August saw the return of the Backpack Ministry. This year 70 children were helped with packs and all of their supplies. Again the focus of this event was children sharing God’s love with other children while adult volunteers met and prayed with parents. The local churches began a Thursday evening activity called Feed the Players in which the football players, cheerleaders, and coaches were invited to a short devotion and fed a meal during the season. The Cumberland Presbyterian Church hosted this 3 times during the year and also sponsored 1 of the 5th Quarter events. 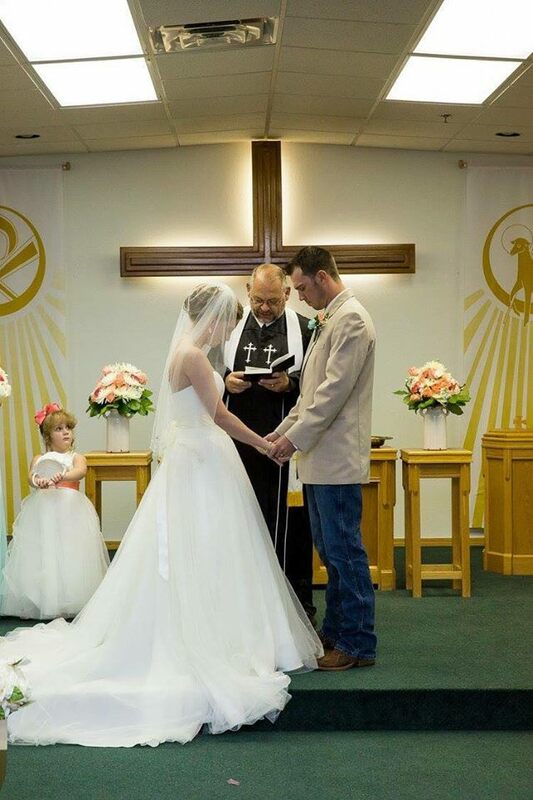 Dillon William Delp and Mackenzie Kalyn Hemingway Were married in the church on 24 August. October saw the kick off of Financial Peace University hosted by the church. Donnie and Merlanda Dorman were the certified instructors. This was the first class of this sort hosted locally and had 7 graduates. The church provided a scholarship for one of the families that attended. On 10 October a service celebrating the life of Essie Hendrix was held here. October also included the church’s second venture into Trunk or Treat. Once again, the community responded and hundreds of children heard that God loves them very much. During this month Tom began serving as Moderator of the Red River Presbytery. He was vice moderator the previous year. On 3 November, the church sponsored a fundraiser spaghetti dinner following worship services in order to help with the medical treatment for Aubrey Walker. The event raised $1630. This year’s Loaves and Fishes offering was $383.03. The church helped many families including hundreds of children with food baskets and angel gifts during Thanksgiving and Christmas. On 15 December at a congregational meeting held exclusively for the purpose of electing 2 elders to serve 3-year terms, the congregation elected Gerald Stegall and Rodney Chilton. Both previously ordained were installed during the traditional worship service on 29 December. During the course of this year, Rick and Dana Ellis continued to fill the pulpit and minister to the Mangum congregation. Tom filled the pulpit 47 times here, 2 times at Mangum, and for a week in Kenya. While Tom generally follows the lectionary for the traditional service; the First Light service most often tackles a book or two of the Bible for the course of the year’s messages. This year, the messages were from the book of Proverbs. The journey concluded with congregational sharing about this exhaustive book of wisdom in early 2014. The year began with the congregation memorizing Psalm 100. Even the youngest children did exceptionally well with this charge. The session also approved Tom Spence and Rick Ellis to return to Africa in response to many invitations. This time they would be hosted by Pastor Jack Wanajala and spend a week in western Kenya and a week In Uganda (MBale). Ash Wednesday services kicked off not only Lent but the children’s goat and 2 chickens offering. May brought about another Bruschetta Bash fundraiser for the Back to Africa mission. Tom Spence and Rick Ellis committed to returning to the Eldoret region in order to once again train pastors and church leaders so they will be empowered. This fundraiser put them at the halfway mark for this trip. 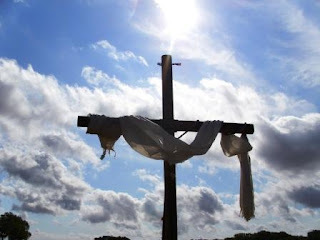 Easter included what had become the traditional sunrise service, breakfast prepared by the men, and a single worship service at 11:00 a.m.
Easter also took on another aspect. The church rescued the Easter Egg hunt that finally died from lack of sponsors. Why would the church have any part of this ritual with pagan roots? The church has been invading the pagan and secular world for 2000 years. Children come by the hundreds to hunt colored eggs. They received enough candy to make sure they got a stomach ache but they also received the message that God loves them, wristbands that reminded them to love each other, and some received prize baskets that included Bibles and devotion books appropriate for children. The session voted to continue the invasion by adopting the community Easter Egg Hunt for years to come. Tom, while still serving as Moderator of the Red River Presbytery, delivered the message at the worship service for the adjourned meeting of Presbytery at Trinity CPC in Fort Worth, Texas. Rodney Chilton was the elder delegate. 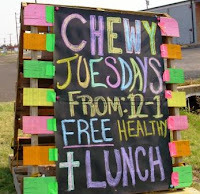 The month of May brought the community meal and signups for Chewy Tuesdays once again. Chewy Tuesdays ran from 3 June to 5 August with 87 children receiving these weekly meals. Once again, every meal contained fruit along with the other children friendly items. The year’s first Walk A Block for Jesus took place on 10 May. The geography was restricted to Burns Flat and the focus was prayer. Walkers prayed on every block and for those people who were out and about, they were asked if the groups that came across them could pray for them. Many accepted this invitation. A second Walk A Block for Jesus followed the youth’s return from Camp WOW in July. This follow-up effort focused on Dill City and was a gospel blitz. A Gospel of John was placed on every residential doorstep. 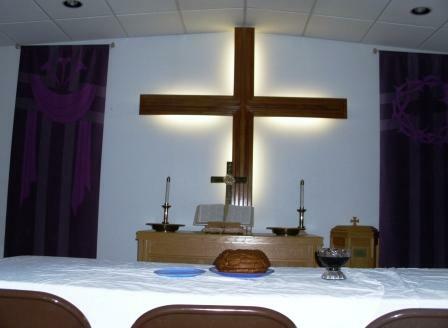 The church purchased 15 new round and 4 rectangular lightweight tables for the fellowship hall. The current disposition of the old tables was to retain them in storage. The month of June brought something of a milestone in that it had been 10 years since the first worship service was held in the new building. 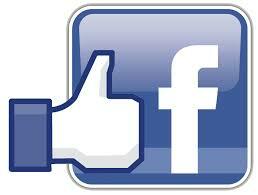 The church began a Facebook page to augment its website. This year’s Vacation Bible School was Son Treasure Island. It continued the evening format and was held from 7 to 11 July with a Saturday pool party on 12 July. Attendance reached a high of 90 students. Camp WOW drew many campers and counselors once again. During this time, Tom challenged the session and subsequently the congregation to take on the yoke of connecting the disconnected. So many people have heard the gospel. Many have even professed their faith; yet so many remain disconnected from a family of faith. This is not only true of the covenant community that Cumberland Presbyterians know, but for all denominations. Connect the Disconnected became the weekly challenge for the remaining part of the year. On 2 August, the church continued a recent tradition of hosting a Back to School Splash. This was an evening free swim for the community. After much rescheduling, the Elder Retreat was held as an evening event on 20 August. Prayer, devotion, ministry review, planning and budgeting were accomplished. The retreat began with the Lord’s Supper followed by a fellowship meal for all attendees. Among other matters, Tom asked that the session develop a mid-term (5-7 year) facilities maintenance plan. The church also contracted some property upgrades this year. The tile in the women’s bathroom that had been buckling for the past two years was replaced. It looked so good that the tile that was beginning to come up in the kitchen was replaced as well before the end of the year. The parking lot was also resealed and repainted. In the midst of everything else that this body of believers did, the session accepted the Ice Bucket Challenge from the session of the Covenant CPC in Ada, Oklahoma. On 28 September, many elders sat before the Cumberland Presbyterian Church sign following the traditional service and were doused in ice water. 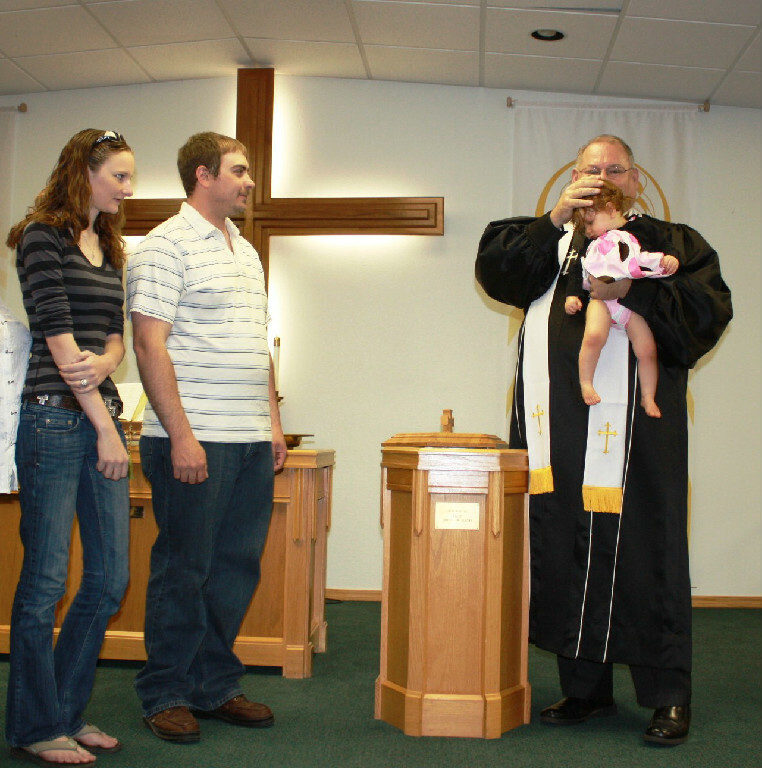 Kamren Tyler Hill and Maddison Leigh Jamee Hill were baptized on 26 October 2014. Tom Spence and Rodney Chilton attended the meeting of Red River Presbytery at Stonegate Church in Edmond, Oklahoma. Tom passed the moderator’s gavel to Jeff Gehle of the St. Matthew’s Church. Fall ministries were turned upside down—perhaps right side up is more accurate. The vending machine was unplugged and the Burns Flat Cumberland Presbyterian Church committed to returning to the mission of the church once again. The transactional nature of the basket and gift signup process was terminated. There was no signup for food baskets this year. Individuals and families would connect with families in need and share God’s love with them. They would be invited to worship and serve God with us. If the family also needed help with food and gifts, that information was acquired in the course of connecting. In the course of the year, the ministerial alliance also adopted this approach. 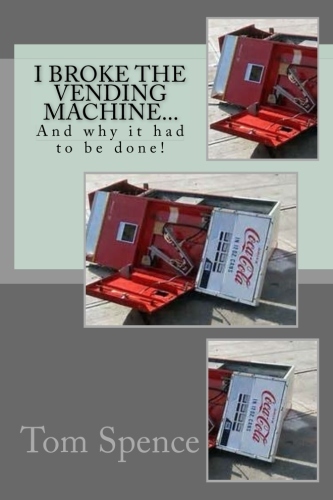 This was the year that the churches broke the vending machine and returned to connecting with people person by person and family by family. The reaction from many people in the community was mixed. Some were upset that the transactional process hand been replaced. Some just liked being disconnected and getting free stuff. Some talked with disciples who reached out to them and were helped. Some talked with disciples who reached out to them and wanted more. This was the year where the local churches stopped conforming to the patterns of the world and became faithful to their calling once again. Trunk or Treat entered its third year as a ministry. This year was the Inside Edition. All activities were conducted indoors. In addition to the games and prizes, 350 gospels were given out. F4 continued through the fall, wrapping up on 19 November with a Thanksgiving feast and talent parade. The church continued the Loaves and Fishes offering. It was collected on 23 November. Tom continued to cook one pot meals followed by a variety of activities. Christmas Eve Communion was celebrated and was well attended. This has become a special tradition for this congregation and others in the community. Garrett Stegall and Rick Ellis were elected to serve 3-year terms as elders on the session. 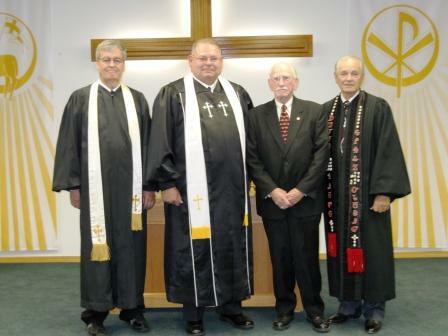 Ordination and installation were scheduled for the first Sunday in January 2015. Despite terrorism and violence, Ebola, and some leadership struggles among churches in western Africa, Tom Spence and Rick Ellis refined plans to return to the region to build upon their previous efforts to equip church pastors and leaders. The mission window is May 2015 and conferences in Kenya and Uganda have been scheduled. 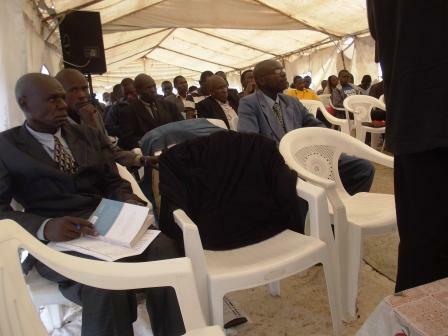 The church ended the year with 87 members. The year was one of being God’s love in action in so many ways. Wednesday evenings became more than a time for fellowship and classes. It was a mission to the youth in this community. 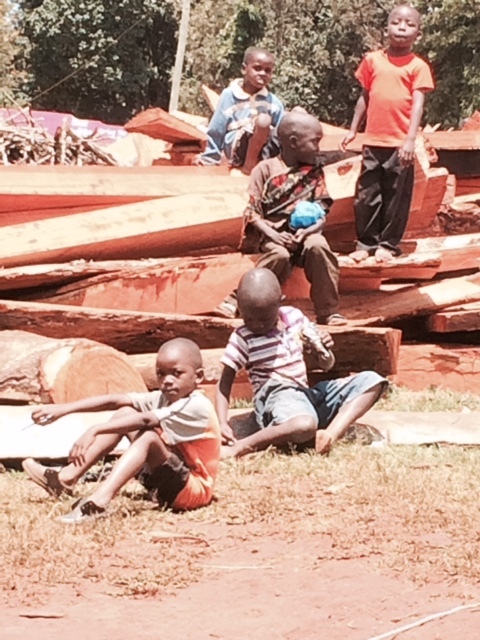 So many children in this community have been orphaned within their own homes. Wednesday evenings have been a chance to bring up children in the way they should go even if just for a couple hours each week. Tom Spence and Rick Ellis returned to Africa during May. This time they taught for a week in Kenya and a week in Uganda. They raised $18,000 for this ministry, much of which was expended on Bibles for each of the 700 students. On 23 May, Philip Ethan Delp and Amber Jade Knight were married at the church. Vacation Bible School and church camp were highlights of the year once again. Walk A Block for Jesus continued as an evangelistic outreach. The backpack ministry helped over 100 children with all the school supplies they needed for the year. Chewy Tuesdays reached nearly 100 children every Tuesday through the summer. Trunk or Treat (Love Ambush #2) completed its 4th year of luring children and their parents to a wonderful place of candy, games, and prizes and ambushing them with God’s love. The elder retreat was a wonderful gathering. Budgeting was much easier than before. The facilities maintenance plan died a quick death, and projects were piecemealed. Signage for the west wall was approved. The wall would have 3 separate messages: the address (205 Highway 44), the church name (Cumberland Presbyterian Church), and the church motto (God’s Love in Action). These would be in large white metal letters mounted on the dark wall. While ministry leaders changed, the church body remained engaged. In many organizations, twenty percent of the people do 80 percent of the work. In this body, it seems that over half of the members are engaged in at least one ministry. The church had 55 ministries of different sizes and scopes this year. Services were canceled on 29 November due to an ice storm and power loss. The year began with a new batch of prayer blankets which were prayed over by the elders of the church. This marked moving into the second decade of the prayer blanket ministry. The session also decided to do a mid-year financial review in February. The church fiscal year is 1 October to 30 September. The mid-year review was conducted and while the balance sheet sometimes looked like a rollercoaster ride from month-to-month, everything was on target financially. There is a testimony that bears repeating. Ever since the session voted to meet its Presbytery apportionment and contribute to OUO, finances have increased from a $30,000 budget that barely paid the pastor a pitiful wage to a budget that has exceeded $100,000 for the past decade. Of that amount, about 30% goes to outreach, OUO, missions, and evangelism. God has rewarded every faithful step that this body has taken. On 18 March, a memorial service was held for Tonia Lee Duncan. She went to be with her Lord on 14 February. On 9 May, a service was held for Betty Jean Cossey, the treasurer of the First Cumberland Presbyterian Church in Mangum, Oklahoma. She went to be with her Lord on 5 May. The Magnum church was in the process of closing. Betty had been a long-time member. On 15 May, the Armstrong Family—Henry Armstrong, Nicole Ann Armstrong, Nathan Ryley Albright, and Natalee Armstrong were baptized. Services for Elder Junior Delp were held on 25 May. He went to be with his Lord on 22 May. Junior had been a servant for the Lord through thick and thin. In his final years, he had a special calling to make sure that we touched the lives of so many children in our community who received so little love in their own home. Nash William Delp was baptized on 26 June. Beginning in the middle of this year, the traditional worship service included a time for the elders to move about during prayer time to lay their hands upon people requesting them. An F4 (Wednesday evening program) revamp was conducted as impacting children in the ways of God’s love had overwhelmed what originated mostly as fellowship with a little education. Wednesday evening worship became a monthly function, with the remaining Wednesdays given to classes. Some of these children had never been to a worship service. The annual Elder Retreat was held on 13 August. Among other items, the session approved the purchase and installation of 2 projectors. The session also approved Lonnie Webb—a licentiate for CP ordination—to preach at the 11 September services and moderate our session under supervision at the 18 September meeting. Lonnie did fantastic at both. Trunk or Treat hit year 5. In addition to games and sweets, about 300 gospels were given away along with as many GOD LOVES YOU – LOVE ONE ANOTHER wristbands. At the Western Oklahoma Family Care Center Annual Banquet, Tom nominated and sponsored two Unsung Heroes from the congregation. They were Laci Stegall and Kendra Walker. Tom provided the session with an overview of the Unification Task Force. By year’s end, the congregation strength was holding at 90 even with some deaths of faithful members. The sessions began the year resuming discussion over security procedures for this body. 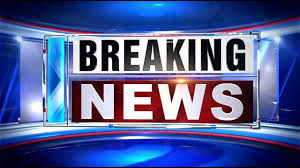 The intent was that most people would come to worship and not notice that extra steps had been taken by a few people to include both active and passive measures to mitigate an attack upon the congregation. One physical change was that cameras were added for outside coverage of the property. 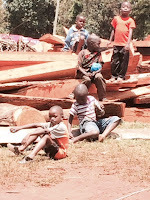 The playground project begun last year with fundraising proceeded to the planning phase, with implementation to be accomplished in phases based upon availability of funds. Fundraising continued. Some donated very generously. Ash Wednesday marked the 6th year in which the children would have a special offering to purchase a Goat and Two Chickens from World Vision. The Easter Egg Hunt (aka Love Ambush #1) was a great success. Hundreds of children, parents, and grandparents were reminded that God loves them and the real meaning of Easter. There were plenty of prizes. 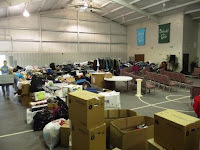 The community was once again very generous in augmenting what the church had budgeted for this ministry with over $1000 in cash and in-kind donations. The Baccalaureate was entirely student-led for the first time. Pastors were mentors. Students led all elements of worship. Two 2017 graduates who were CPC members, Lilly Schneberger and Brianna Rush led their classmates in this fantastic transition to student-led worship. We were also blessed to receive, host, and fund generously, Fredrick Simiyu from Kenya. Fredrick had attended the Empowering Leaders Seminars given by Tom Spence and Rick Ellis in 2013 and 2015. His itinerary was very tentative upon arrival in the United States and he learned a lot about building a tower without considering the cost but did preach twice here before having to return home. Services for Elder Albert Lawrence Dudgeon were held on 29 June. He passed away on 25 June. The summer’s ministries and activities included Chewy Tuesdays, VBS, Camp, and a Walk A Block for Jesus held immediately prior to the Vacation Bible School. The frequency of having elders lay hands on people asking for prayer was increased to monthly. At the beginning of the fall semester, the church provided breakfast for the Burns Flat-Dill City Teachers and Staff and Tom was asked to be the keynote speaker for the start of the school year in-service. Tom provided gospels for all Will Roger Elementary Students who attended See You at the Pole on 27 September. The prayer time was well attended by both students and staff. We are blessed to live in a community where acknowledging God in everything is still welcomed. After tabling discussion on a kneeling bench at the last session meeting, Tom found one at another church that was not using it, purchased it, and donated it to the church. The Annual Elder Retreat was held on 12 August. Among the other things discussed was the report of Vision 2020. The team felt that we were on target with everything we do for the youth; however, we could do more for our senior adults. After some prayer and discussion, a ministry to connect seniors with the youth through technology was envisioned. It is in need of a champion but surely God will provide. A service for Elder Jimmie Lee Delp was held on 22 August. Jimmie went to be with the Lord on 18 August 2017. The church coordinated Feed the Players and 5th Quarter gatherings for all churches in the ministerial alliance. The Church of Christ participated as well. 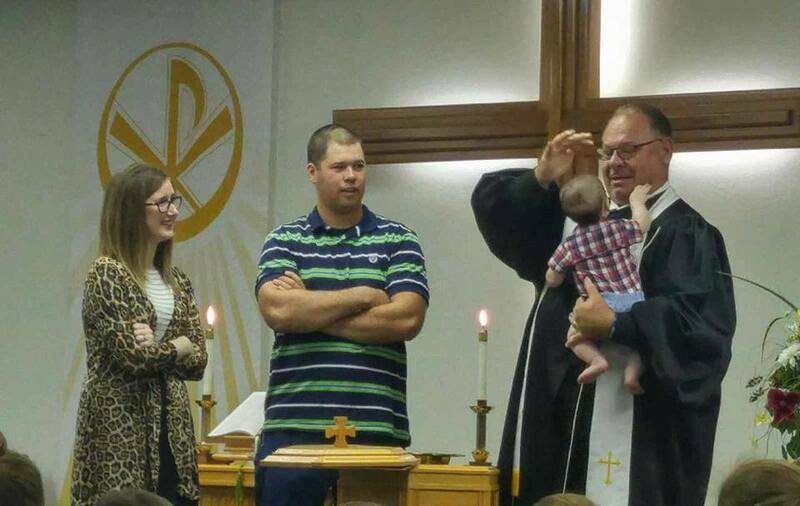 Tyler Chase Johnson was baptized on 8 October. The church hosted Reunion Sunday on 29 October to give people a reason to return to worship without feeling awkward about having been absent so long. Many came from far away and enjoyed the fellowship. Few who were local found their way home and remain unchurched. The community Thanksgiving Service was held at the Living Waters (Assembly of God) church building and was well attended by all congregations within the Ministerial Alliance. 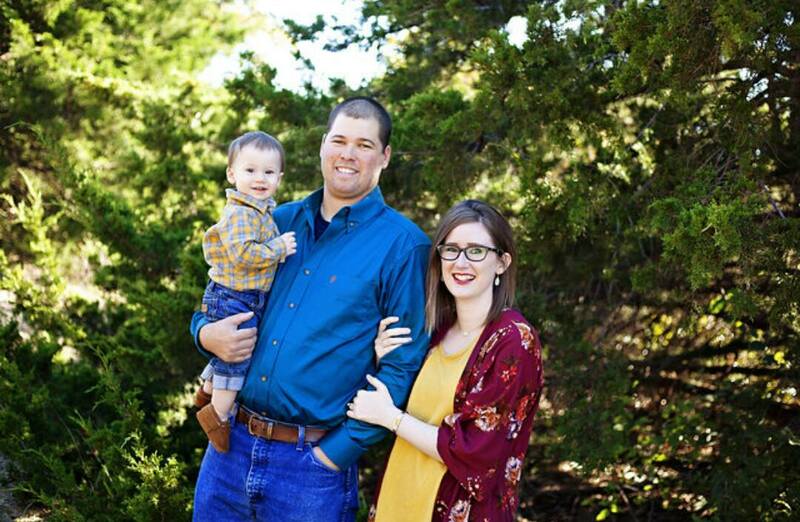 Rodney Chilton nominated the Burns Flat Congregation to host Presbytery in the Fall of 2018. Upon motion and second, the presbytery approved the invitation. Membership at the end of 2017 stood at 90. The year began looking at Ash Wednesday on Valentines Day and Easter on April Fools Day. Perhaps setting the world and the Kingdom of God in such stark contrast is a good thing. The community Easter Service was held at the First Baptist Church in Dill City. All congregations were represented except the First Baptist Church of Burns Flat. This body was well represented once again. The Easter Egg Hunt was once again a chance to tell about 300 children and parents that God loves them, and then tell them how much he loves us all in the story of Jesus. The Baccalaureate was once again 100% student-led and surely put a smile on God’s face. He was worshiped in the school building and the gifts of this class of graduates brought glory to God. There is much in the year ahead to include participation in the General Assembly hosted in Norman, Oklahoma and serving as host to the Red River Presbytery in October.